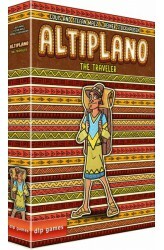 A traveler wanders through the South American highlands and brings the inhabitants new ideas from his travels. Anyone who meets him can take advantage of these assets. A public trading point makes it possible to obtain rare goods in exchange for opals. 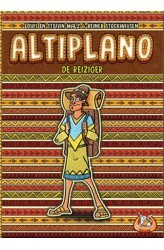 And a variety of fortunes adds even more diversity to life among the mountain ranges in Bolivia and Peru. 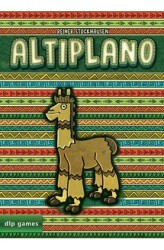 With Altiplano: The Traveler, the planning of moves in Altiplano becomes more important and accessibility to resources becomes more interactive. Above all, the assets that may be purchased from the traveller open up completely new ways to increase one's own wealth. But unforeseen fortunes sometimes demand spontaneous decisions which influence planning. 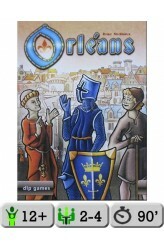 Thus, the drive for success in this inhospitable regi..
During the medieval goings-on around Orléans, you must assemble a following of farmers, merchants, knights, monks, etc. to gain supremacy through trade, construction and science in medieval France. In the city of Orléans and the area of the Loire, you can take trade trips to other cities to acquire coveted goods and build trading posts. You need followers and their abilities to expand your dominance by putting them to work as traders, builders, and scientists. Knights expand your scope of action and secure your mercantile expeditions. Craftsmen build trading stations and tools to facilitate work. Scholars make progress in science, and last but not least it cannot hurt to get active in monasteries since with monks on your side you are much less likely to fall prey to fate. 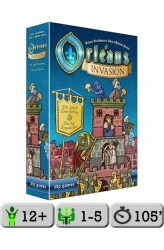 In Orl..
Orléans: Invasion, the first large expansion for the award-winning game "Orléans", contains six scenarios, new buildings, and several new event-cards. The scenarios were designed by Reiner Stockhausen and Inka & Markus Brand: "Prosperity": A classic expansion for 2-5 players including new buildings and introducing the carpenter, designed by Inka and Markus Brand. "Invasion": A co-operative scenario for 2-5 players in which the players have to fend off an invasion and fulfill personal goals to win, designed by Inka and Markus Brand. "The Duel": A scenario for two players in which both opponents have to complete four objectives to win, designed by Reiner Stockhausen. In addition, Orléans: Invasion contains three solo-challenges by Reiner Stockhausen. ..